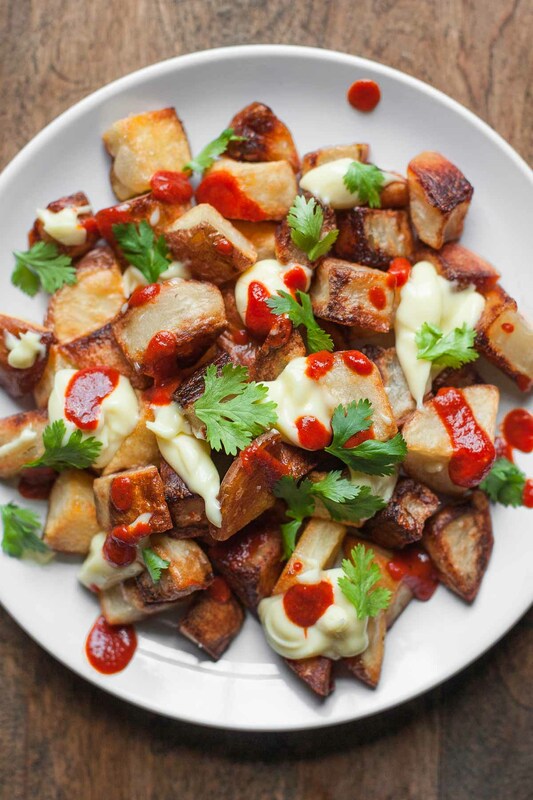 This version of patatas bravas features potatoes roasted in duck fat until they’re super crispy, then topped with spicy brava sauce and creamy, garlicky allioli. 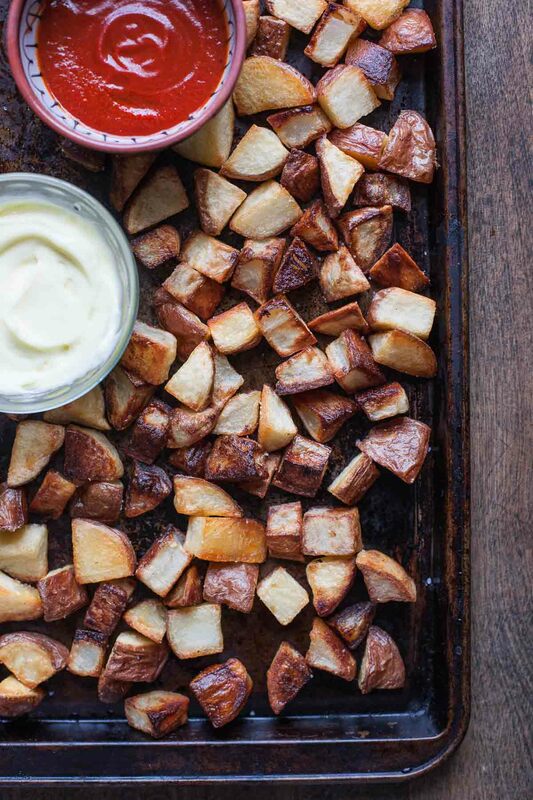 I’ve been on a quest for months to make truly crispy roasted potatoes. They’re more elusive than you might expect. Simply roasting potatoes in a hot oven for a long time may give you some crunch around the edges, but the interior of the potato isn’t satisfactory. I need the insides of the potatoes to be tender and fluffy with no hint of dryness. And I’m not after just crunchy corners–I’m in need of some solid, wrap-around, all-encompassing crunch. My quest finally came to a delicious end when I discovered this recipe for roasted duck fat potatoes on The Domestic Man. I bought myself a jar of Epic Cage-Free Duck Fat from Thrive Market and got roasting. The recipe requires you to parboil the potatoes, drain them, rinse them until they’re cool, and pat them dry. Then you heat the duck fat on the sheet pan in the oven before adding the potatoes, so they sizzle when they go on. After that, they roast for about an hour. Most people love simple recipes. I’m actually the opposite–I want the things I cook to be a little bit of a process. Nothing insane, but a few different components. I love the act of cooking, and I usually don’t want it to be over too quickly. 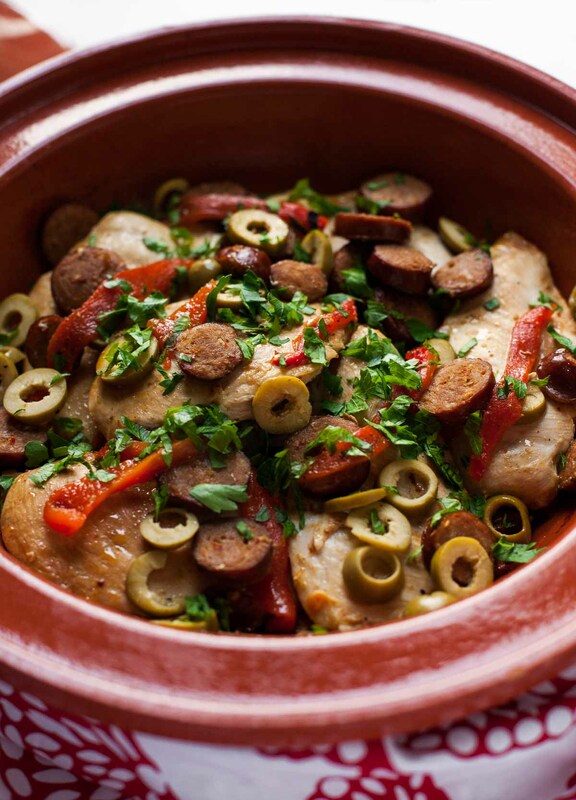 This chorizo chicken is the best of both worlds. If you want it to be super simple and quick, you can buy a jar of roasted red peppers or even leave them out. You can also serve this with a tossed salad instead of the rice. If you’re looking to have a little fun, though, you can roast your peppers on an open flame. This genius recipe comes from Karen of Lavender and Lovage. I was assigned Karen’s blog for this month’s Secret Recipe Club reveal day, and had so much fun perusing her recipes. She lives in England but also spends a lot of time in France, where she has a cooking school. Karen has a huge selection of recipes on her blog, including several tempting choices like Scottish rhubarb and ginger crunchy streusel cake and bacon-wrapped turkey breast, which I want to make when the holidays roll around. 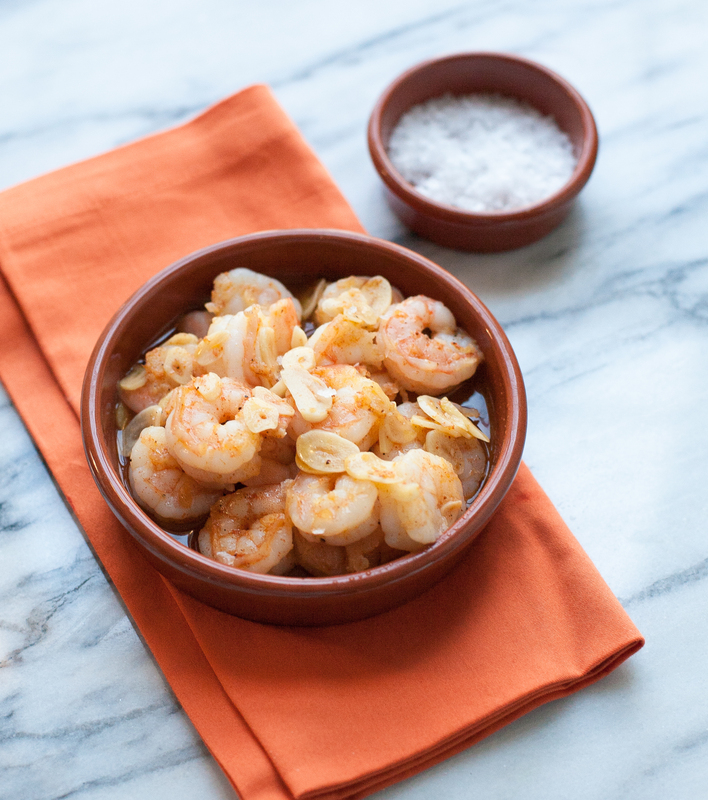 In my last post, I shared a recipe for gambas al ajillo inspired by my meal at Solea. 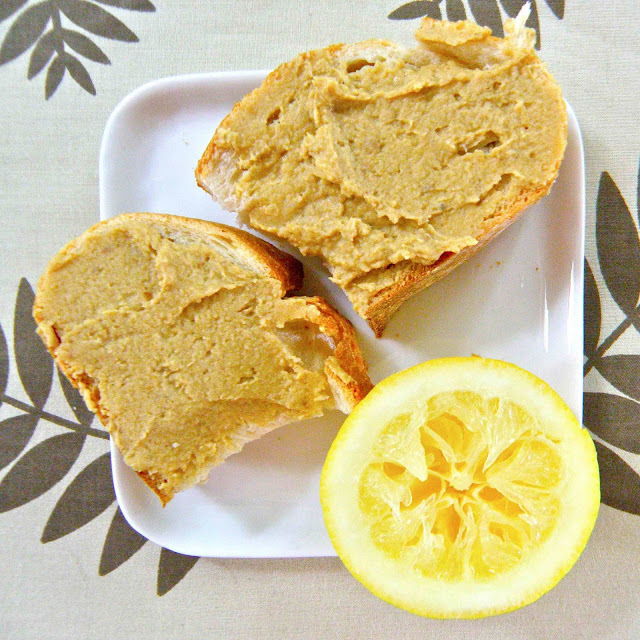 The other thing I was dying to try at home was Solea’s chickpea spread, which they bring at the beginning of the meal with a basket of crusty bread. It’s really delicious! I could tell it had chickpeas in it (plus, it was adorably garnished with one whole chickpea), but I couldn’t tell what made it so much richer, and so different from, hummus. Luckily, our waiter didn’t mind telling us the other key ingredient–porcini mushrooms! I had never cooked with them before, and they smelled really funky before they were reconstituted. But, it was worth it. I was rewarded with this hearty dip, which I think is just as good as what I had at Solea. Place the porcini mushrooms in a small bowl, and pour in very hot water to cover. Let sit for 30 minutes. Drain, reserving the soaking water, rinse, and pat dry. Heat 1 teaspoon of olive oil in a small skillet over medium heat, and saute the mushrooms for about five minutes. 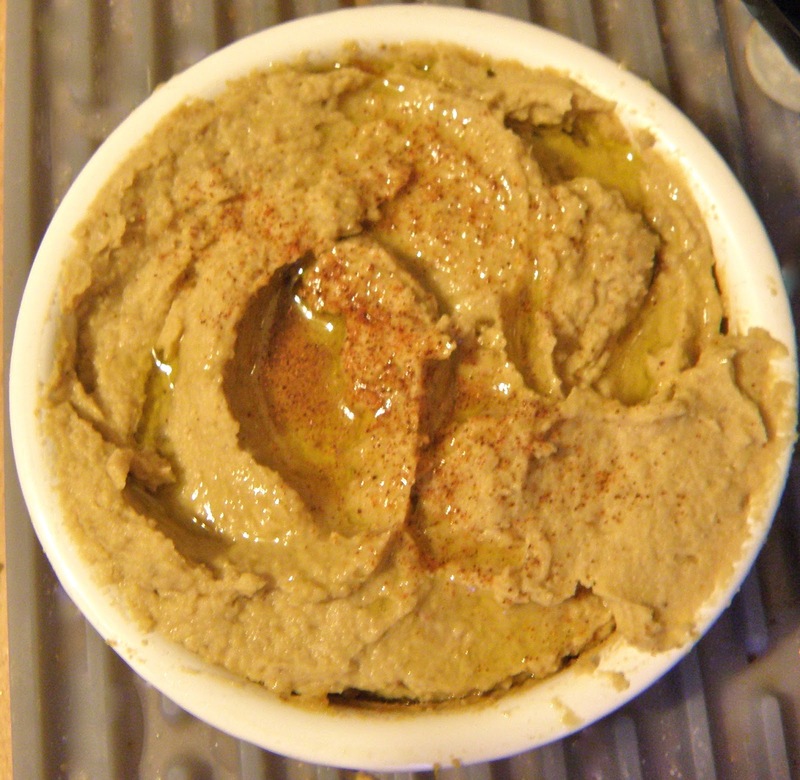 In a food processor, combine the chickpeas, lemon juice, salt, and mushrooms. Turn the processor on and add the half cup of olive oil in a steady stream (you can use less oil and more mushroom water if you’d like). If the spread seems too dry, add the mushroom soaking water a tablespoon at a time and process until smooth. Taste for seasonings and adjust if needed. Drizzle with olive oil and sprinkle with paprika, if desired. Serve with crusty bread or vegetables for dipping. 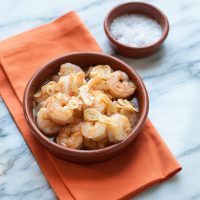 It could not be easier or quicker to make gambas al ajillo at home! These sizzling garlic shrimp make an ideal paleo appetizer. With such a short and simple ingredients list and such delicious results, there’s no reason not to try it! For my birthday, we went to dinner at Solea, a fabulous tapas restaurant in Waltham. If you live in the Boston area and haven’t been, you need to try it! It’s one of my absolute favorite restaurants. Ben, my mom, and I ordered six tapas to share. We got sizzling garlic shrimp, scallops in saffron cream, lamb meatballs in truffle cream sauce, greens sauteed with pine nuts and raisins, and baked goat cheese. Everything was amazing. I ordered a blood orange sidecar to drink, which was delicious, and we started out snacking on a really good chickpea-porcini mushroom spread (my take on that coming soon). The whole meal was great and I highly recommend everything we ordered. I decided the sizzling garlic shrimp would be fun to recreate at home. At Solea they serve them still bubbling in a small cazuela . You could achieve the same effect by putting the shrimp into ramekins and sticking them under the broiler for a couple of minutes before serving. If you try that, don’t cook the shrimp all the way on the stovetop since they’ll finish cooking under the broiler. Looking for more delicious and easy paleo shrimp recipes? Try these, which can all be made in 30 minutes or less: curry butter shrimp, pesto shrimp bake with squash and tomatoes, or roasted shrimp and asparagus with green goddess dressing. 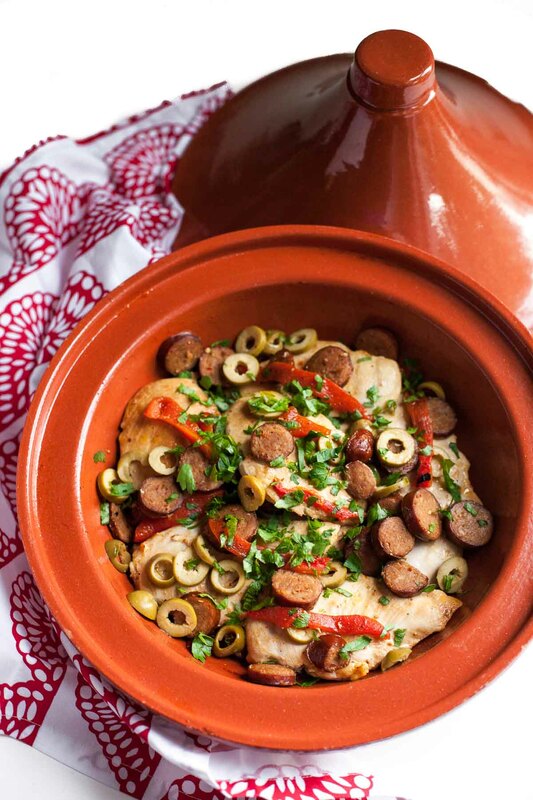 It could not be easier or quicker to make gambas al ajillo at home! These sizzling garlic shrimp make an ideal paleo appetizer. With such a short and simple ingredients list and such delicious results, there's no reason not to try it! Preheat the broiler, if using. Heat the olive oil in a heavy skillet over medium-low heat. Add the garlic and saute, stirring frequently, for about five minutes, until the garlic is softened but not browned. Add the shrimp, raise the heat to medium high, and sprinkle with salt, pepper, paprika, and red pepper. Cook for three minutes on each side or until the shrimp are completely opaque. Serve hot. If you decide to broil the shrimp in individual ramekins, cook on one side in the skillet, flip over into the ramekins, top with some of the oil and garlic, and broil until opaque throughout, about 3 minutes. This post contains affiliate links. If you make a purchase on Amazon after clicking one of my links, I receive a small commission (the price you pay is not affected). 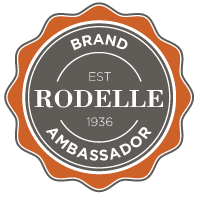 Thank you so much for supporting my site!